Ditch the cheesy champagne, roses and chocolate this Valentine's Day and go D.I.Y. for your sweetheart. 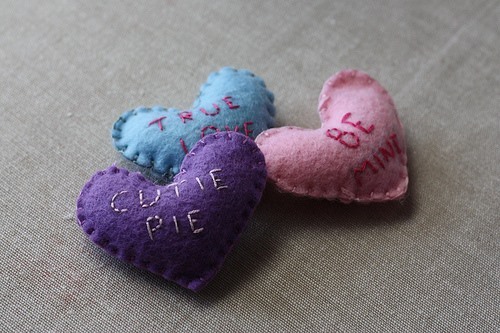 Blog Lavender and Limes posts a simple HowTo on sewing these oh-so-cute felt conversation hearts.